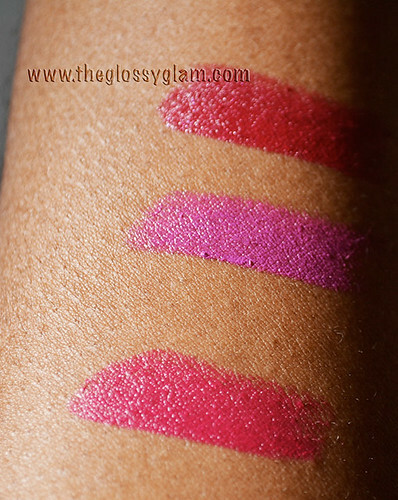 Today I have some swatches for you all. 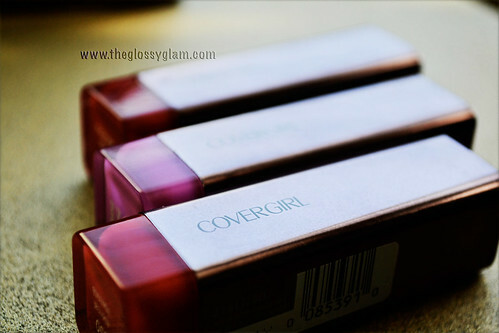 I recently picked up a few of the CoverGirl Lip Perfection Lipsticks that are fairly new because I just loved the cute little packaging. This isn't a review but more so I wanted to share with you swatches of the colors I did pick up. I will say that I do love them and plan to pick up more in different colors. They are very creamy and do not dry my lips out. I wore eternal on Valentine's Day and it stayed on the ENTIRE day I swear! No feathering or drying, it was awesome. 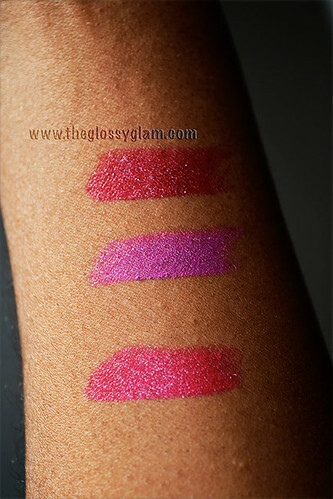 The Colors I purchased were (top to bottom) Tempt, Divine, and Eternal. Do any of you guys own any of these? how do you like them? Let me know in the comments below! 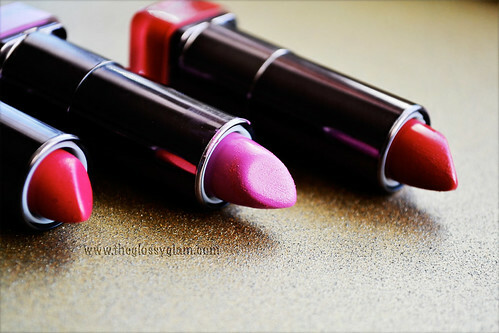 I am loving the cover girl lippies!! 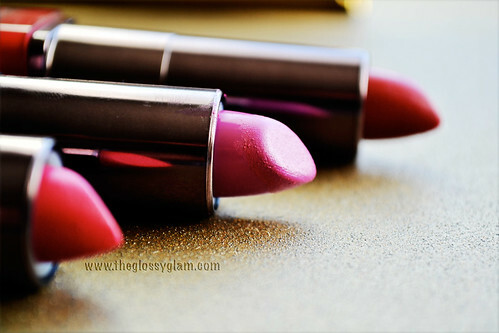 I have all those colors and love them. I recently got some too and love them!